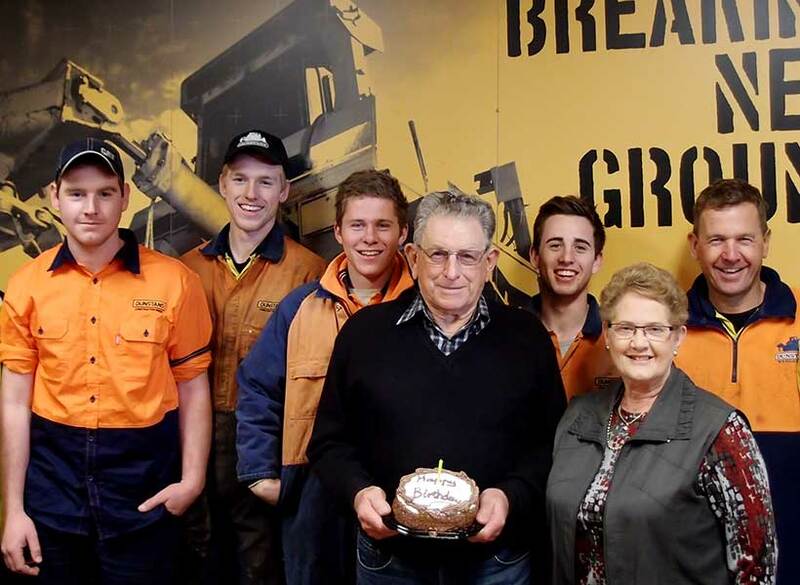 On Friday the 29th August, Ray Dunstan celebrated his 85th birthday at the Wangaratta office. Ray still actively works each day locally completing tasks like truck driving and machinery operating. He wishes for all employees, friends and family to be as healthy as he is when they reach 85. Three generations of Dunstans now work in the family owned construction group.